PwC named as a Major Player in the IDC MarketScape: Worldwide Oracle Implementation Services 2016 Vendor Assessment. PwC rated as a Vanguard Leader by ALM Intelligence for Corporate Finance and Treasury Management Consulting. PwC rated as a Vanguard Leader by ALM Intelligence for Retirement Consulting: Defined Benefit and Retirement Consulting: Defined Contribution . PwC is cited as a Representative Vendor in the August 2016 Gartner Market Guide for IoT Services Providers. PwC is cited in the August 2016 Gartner Smart Machines report: Consulting and System Integration Services Market Forecast and Opportunities. PwC rated as a Vanguard Leader by ALM Intelligence for Analytics Enablement Consulting. PwC positioned in the “Winners’ Circle” as a Leader in Workday Services in the 2016 HfS Blueprint. PwC rated as an ALM Intelligence Vanguard Leader for HR Technology Advisory Services. 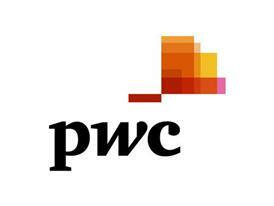 PwC rated as a Vanguard Leader by ALM Intelligence for Finance Excellence Consulting.